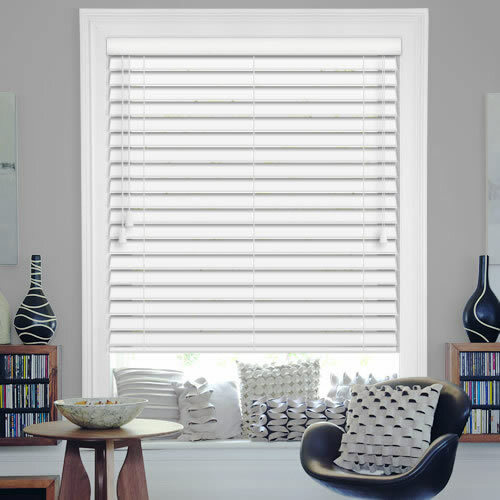 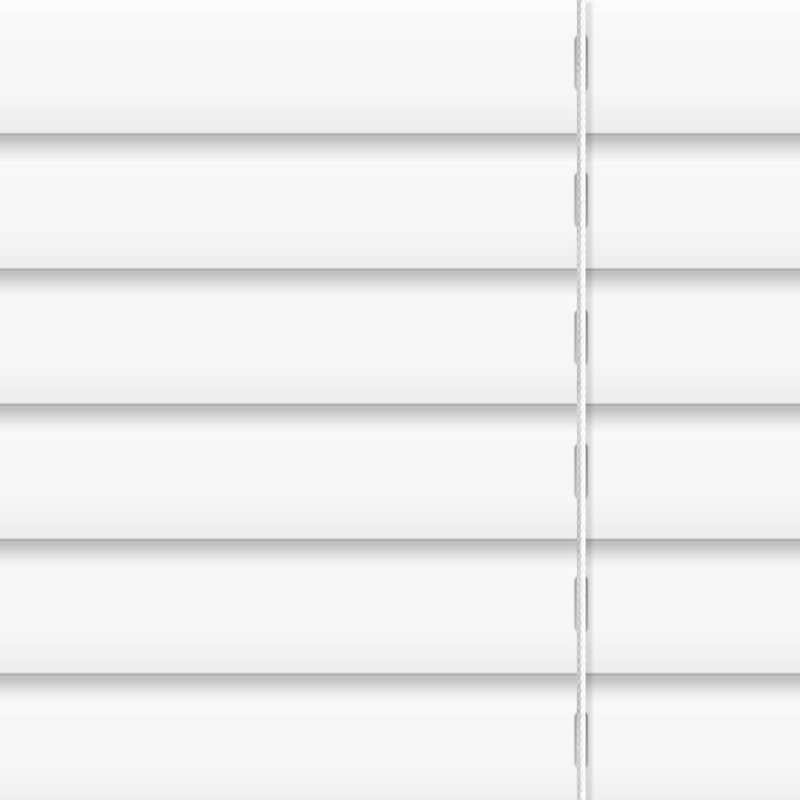 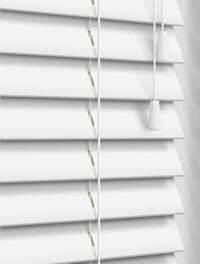 Create a fresh, light and airy look in any room of the home with these luxurious 50mm bright white faux wood blinds. 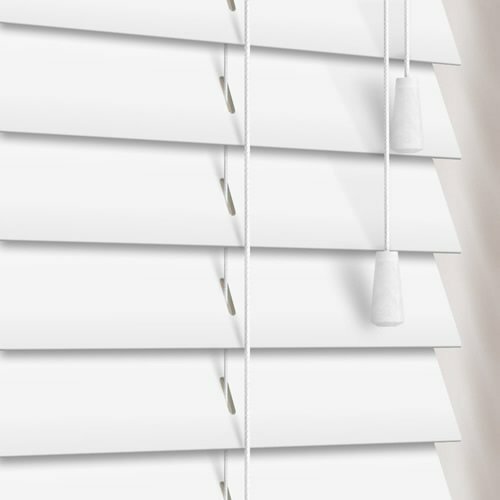 Not just beautiful to look at, they are also extremely practical and functional. 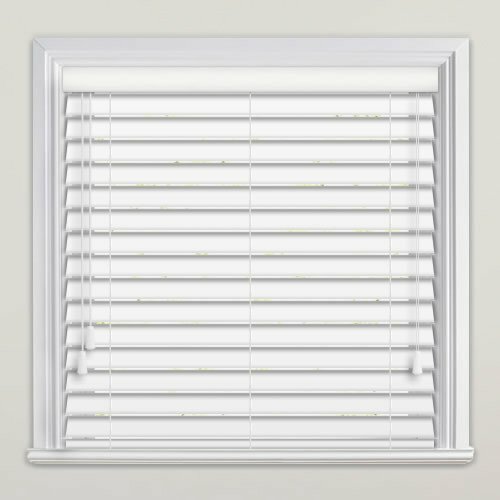 Made from high quality PVC, they are robust, easy wipe clean, fire retardant and waterproof, making them a great choice for the bathroom, shower room or kitchen window.